At Denbigh Primary School, the Arts are taught both discretely and as an integrated part of our International Primary Curriculum. Music and art are taught by specialist teachers, and although drama is taught predominantly by class teachers, we work closely with a number of professional theatre companies and take part in the annual Shakespeare for Schools Festival. Dance is taught by the PE specialist teacher and is enhanced by extra-curricular workshops led by the local High School and school based dance clubs. 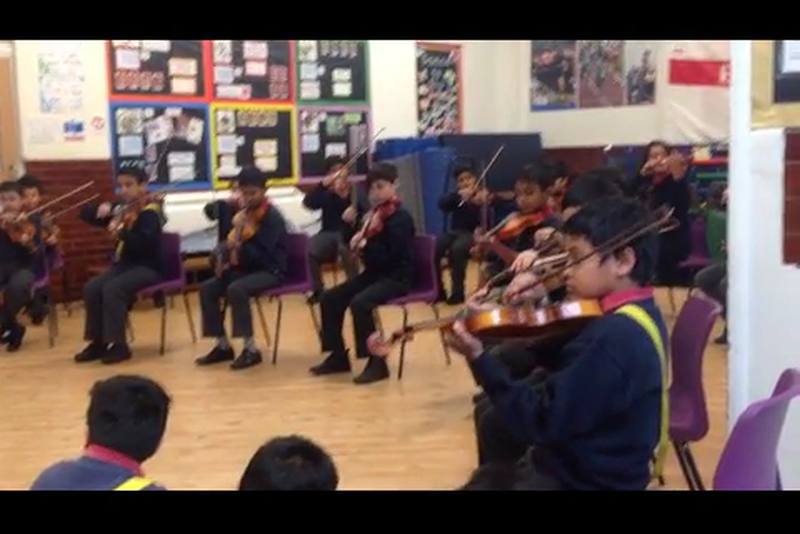 Our pupils are given the opportunity to be actively involved in listening to, composing and performing music. In Key Stage 1 pupils learn to play the recorders and tuned and untuned percussion instruments. 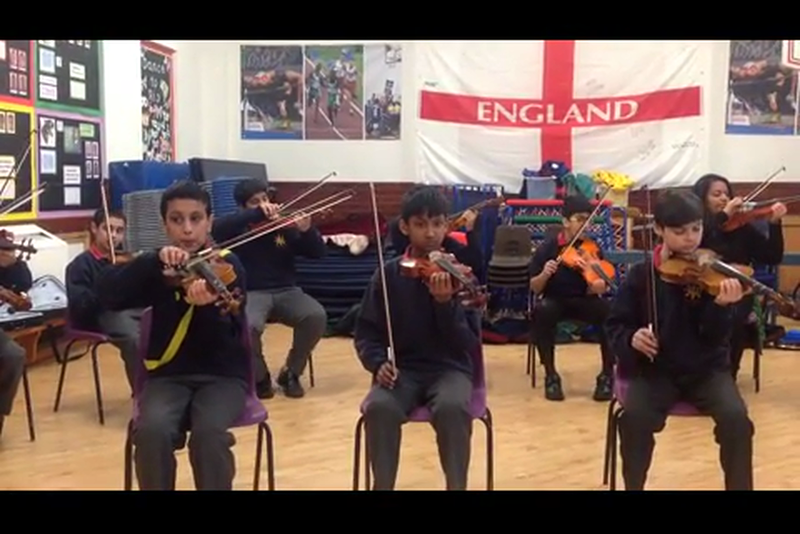 In KS2, children have the opportunity to learn to play cellos, violin and glockenspiel. Pupils also take part in weekly singing assemblies, which are led by a specialist singing teacher and they have the opportunity to join the school choir. Drama is regarded as a valuable means for developing language skills and for encouraging positive social interaction, increasing physical control, stimulating imagination and teaching pupils how to listen and respond appropriately. Drama skills are taught both in English lessons and across the curriculum. Pupils are given opportunities to write play scripts, rehearse and perform drama for a range of audiences and to respond to drama and theatre productions. Dance is taught as part of the PE curriculum and reflects, where possible, the topics relating to the International Primary Curriculum. Cross curricular links to music, science, the humanities and the arts are particularly strong. Dance is a tool for fitness, creativity and social skills and a vehicle to interpret other subjects. 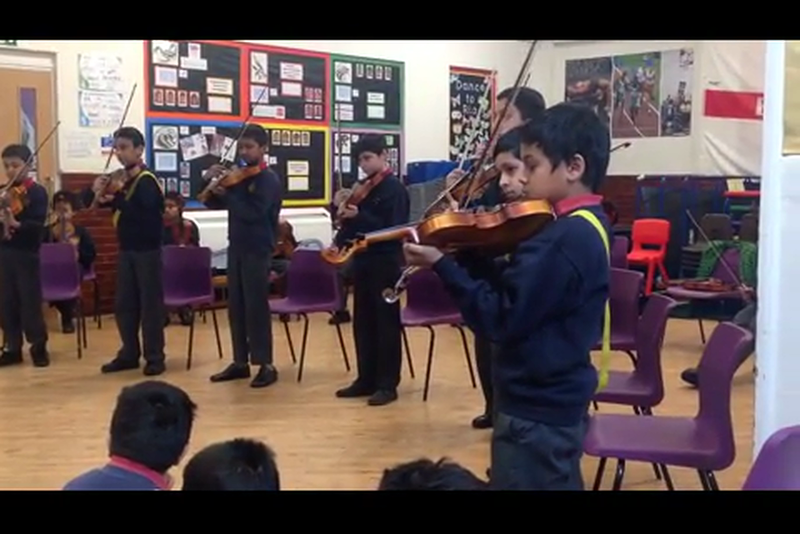 Pupils learn and create a variety of dances, which they perform to a range of audiences. Pupils’ knowledge and understanding of art is developed by teaching them to use a range of media and techniques and fostering and nurturing creativity. They are taught a range of skills, which include drawing, painting, sculpture, printing and collage, using 3D materials and textiles. They study a wide range of artists, crafts people, architects and designers to complement their work.